IMPORTERS AND EXPORTERS OF UKRAINE DIRECTORY - THIS IS A DATABASE OF YOUR NEW CLIENTS. 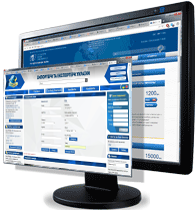 Directory contains the database of all Ukrainian companies involved in foreign trade. It provides information on 10500 companies in Ukraine. Еach company has information on products, volumes, regions. Monthly update files of companies contacts are free. There is archive of data for each enterprise in previous years. Program will give you the opportunity to convenient search, export data in Excel. More about the Directory and screenshots of the Directory’s database, you can find here.